A federal judge today declined to issue a restraining order to block a wolf- and coyote-hunting derby scheduled for this weekend in Central Idaho, ruling environmental groups offered little evidence of potentially unlawful activity or irreparable harm. U.S. Magistrate Judge Candy Dale rejected arguments from Wild Earth Guardians and other wildlife groups aimed at forcing the cancellation of the two-day derby, which offers $2,000 in cash and other prizes for the largest and most animals killed.
." The derby advertisement states that hunters will be required to comply with Idaho state law." Organized by the sportsman group Idaho for Wildlife, the derby announced it would award a $1,000 prize for the largest wolf taken and $1,000 for the most coyotes killed. The derby would be based out of Salmon, Idaho, from Saturday through Sunday. Environmental groups had argued the derby required a special use permit to comply with U.S. Forest Service regulations, but the USFS had decided not to enforce the permit requirement. Rules require a special use permit for any commercial activity with an entry or participation fee, or any gathering of more than 75 people. Dale concluded the derby did not have to comply with the permit regulations because the derby registration, judging and prize awarding would take place on private property in Salmon. Only the hunting, which is lawful, might occur on public land. Derby organizers also dropped the entry fee when environmental groups raised the issue of the special permit. The judge also rejected arguments that the derby would promote a more concentrated, more competitive population of hunters, who might be more aggressive or endanger other people recreating on public lands. "Plaintiff's declarations provide only generalized fears regarding their safety, the safety of others, and the safety of the environment that is no different than what may occur during any use of the forest," Dale writes. "There is insufficient evidence that the competitive nature of the derby will alter or interfere with the ability of law enforcement (both state and federal) to enforce the hunting laws, and the regulations regarding use of the forest." 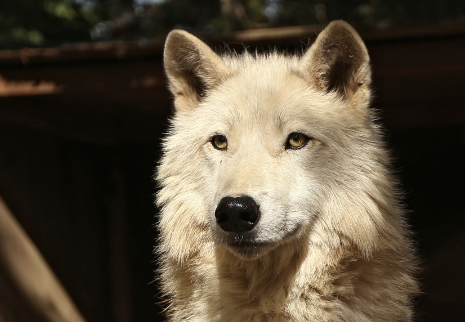 Wolf hunting has proven extremely controversial in Idaho. Noting the regional quota for wolf kills had not yet been reached, Dale also found little evidence that more wolves could be killed during the derby than would still be allowed under the quota. And there is no quota for how many coyotes may be killed. "For the reasons set forth above," the judge finishes, "the Court concludes that Plaintiffs have not met their burden for the issuance of a temporary restraining order."